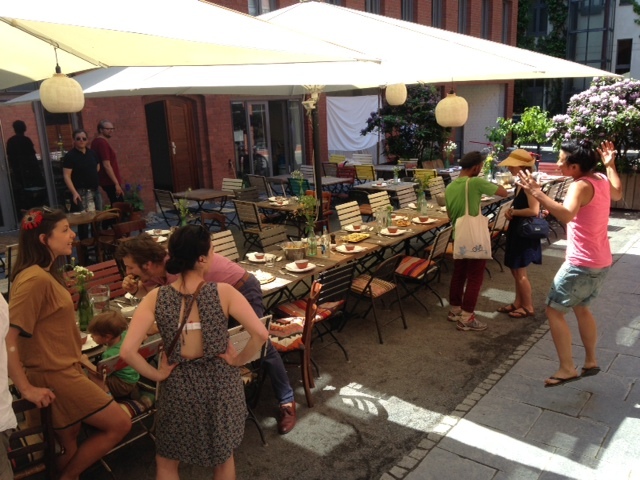 Thanks to Violetta Engelien, the Contemporary Food Lab, the restaurant Katz Orange, the Obsthof Siegeris and the Biolandhof Ziehlke! 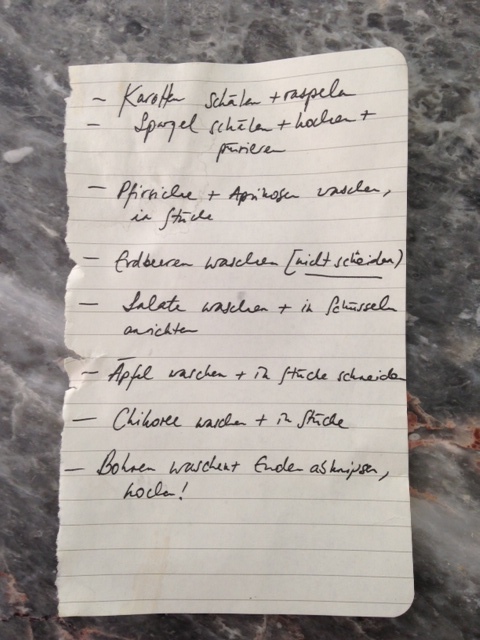 Our to-do list for the next 2 hours. 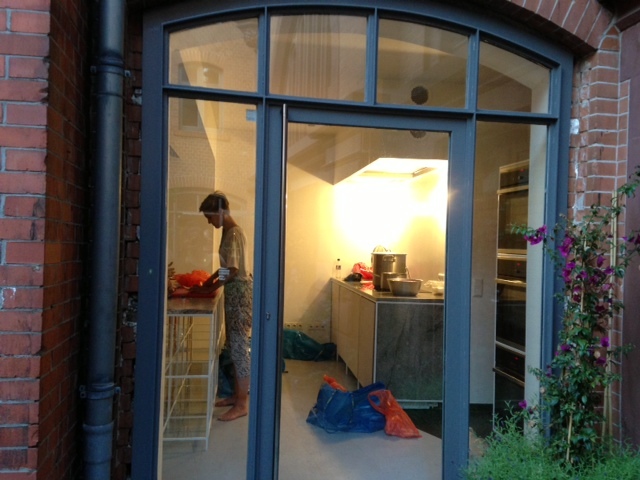 Night-time cooking in CFL’s beautiful backyard kitchen. 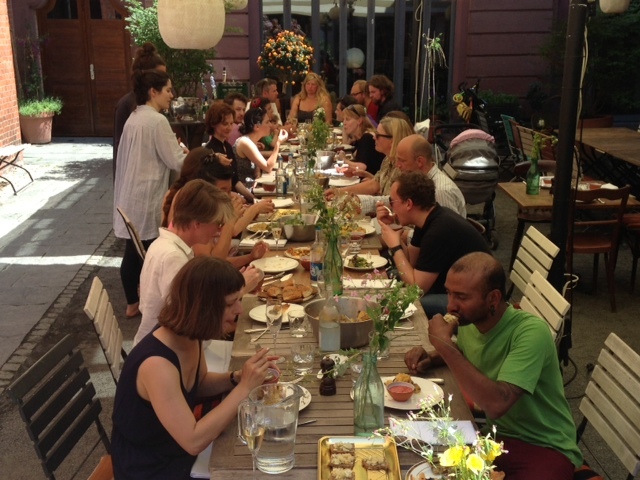 The guests eat with gusto before the butter melts at an outside temperature of 30°C. 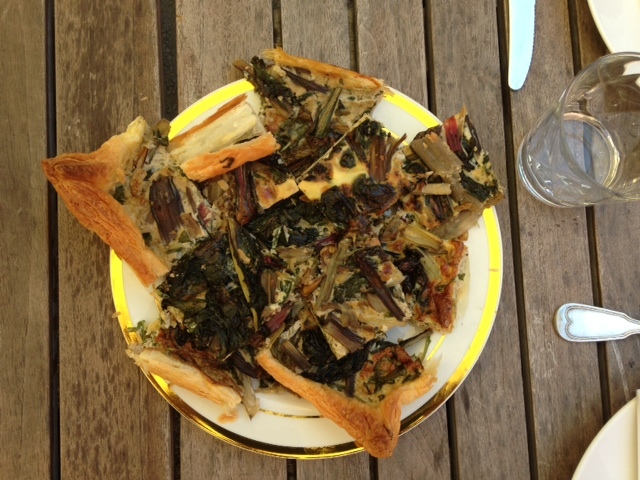 Probably the only “classic” at Dinner Exchange: Sandra’s chard tarte. 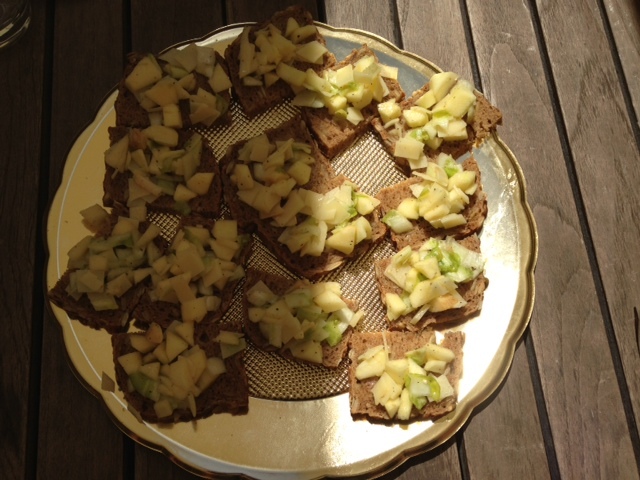 Bread bites with apple, chicory and mountain cheese. 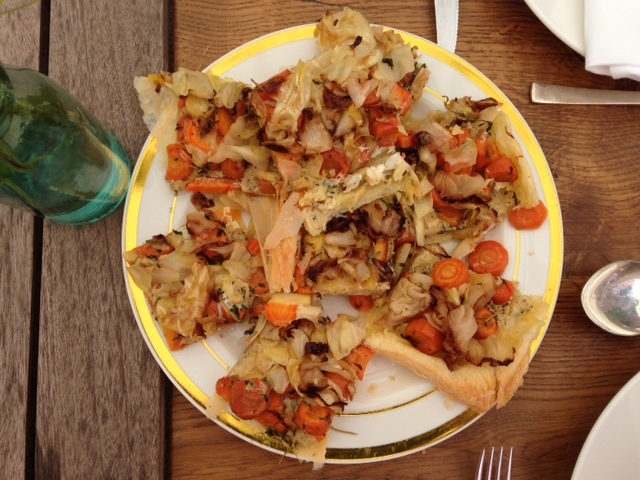 One half survived the other substantially. 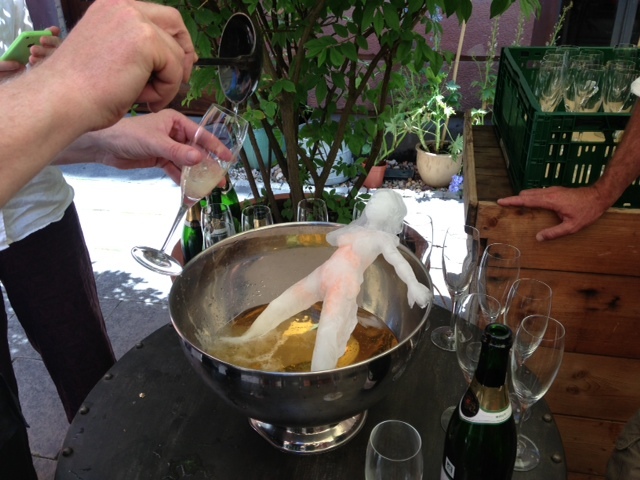 Sonja Alhäuser’s work: a woman figure melts in champagne. 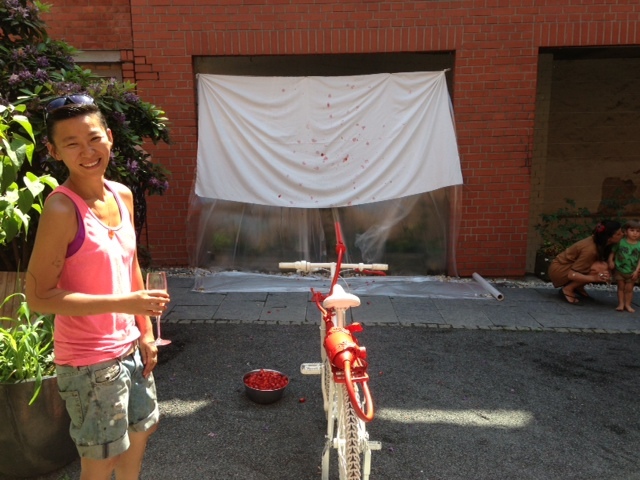 The guests got to drink the champagne. 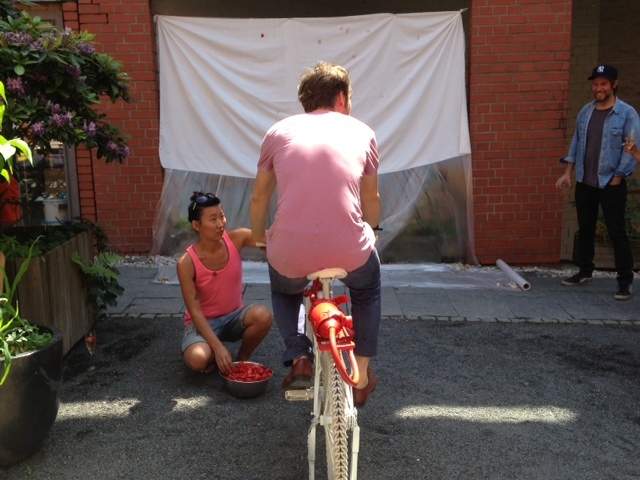 Anne Duk Hee Jordan’s work: a strawberry canon attached to a bike, which guests used to shoot fruit on to a white surface.